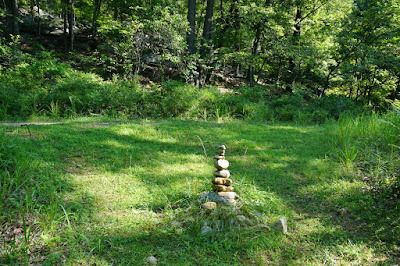 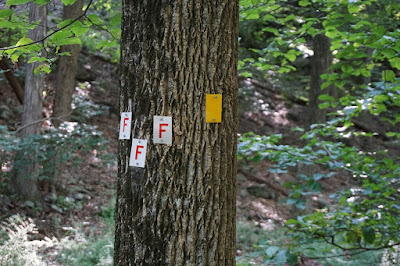 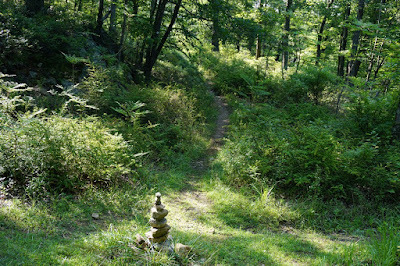 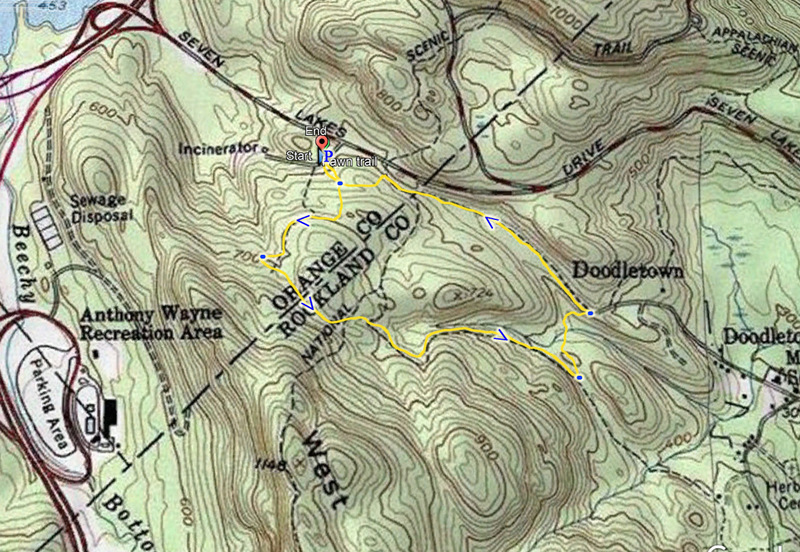 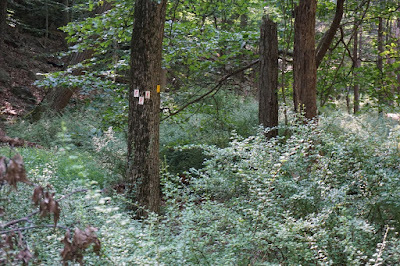 I had heard that the Fawn Trail in Bear Mountain State Park had been extended along the foot of West Mountain. 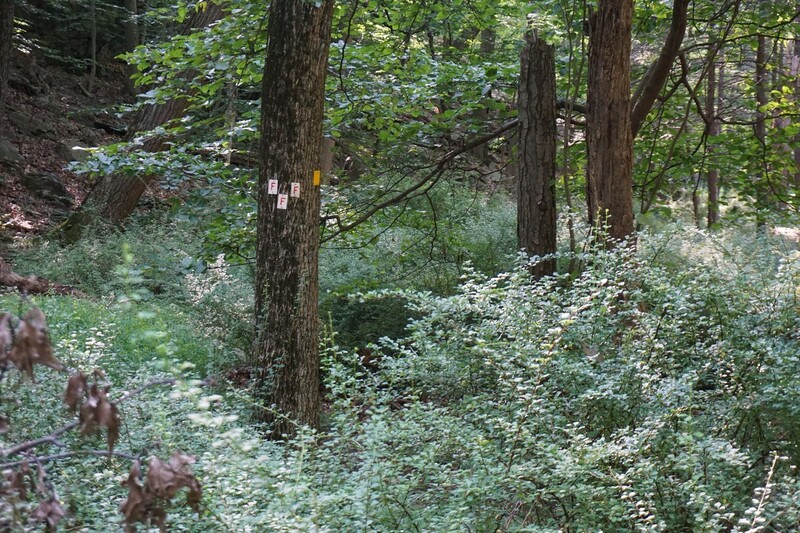 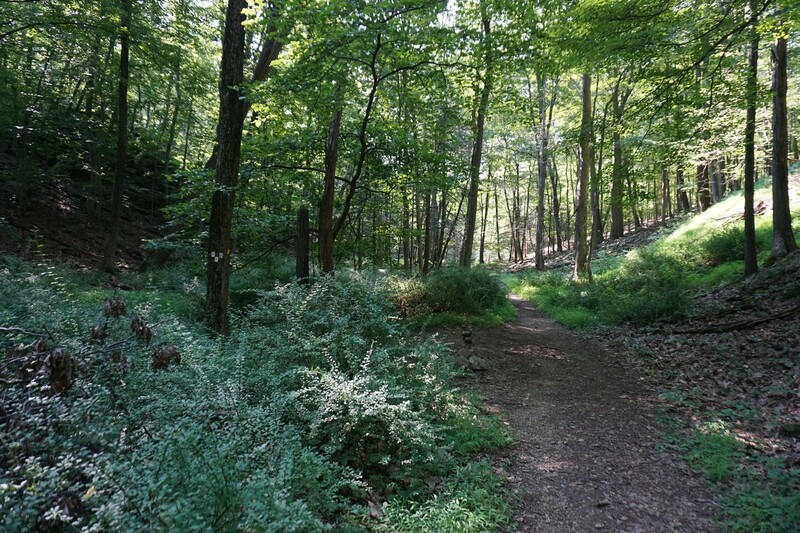 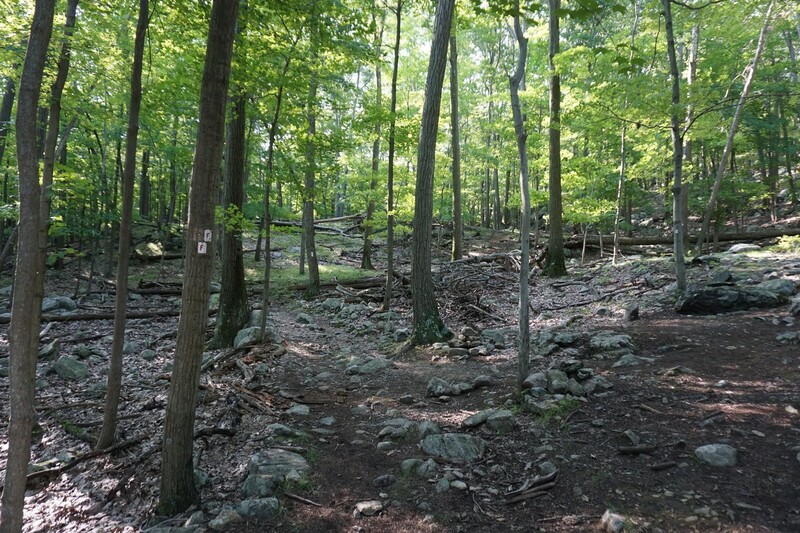 The trail used to end at the Appalachian Trail, and has been extended now to the Suffern-Bear Mountain Trail. 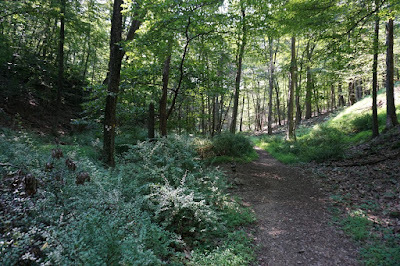 The extension is mostly along the previosly unmarked trail known as the "Bridle Path," though the beginning of the trail is newly blazed until reaching the Bridle Path. I parked at the trailhead on Seven Lakes Drive near Perkins Memorial Drive, at the 1777 W Trail, and took that trail for a short distance until the Appalachian Trail. 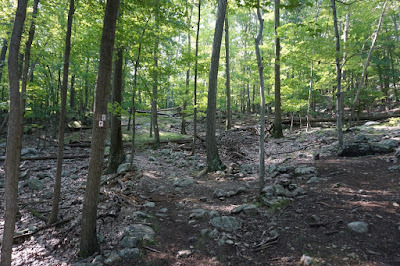 I took the Appalachian Trail slightly up towards the Fawn Trail, and then took the Fawn Trail east until its new terminus at the Suffern-Bear Mountain Trail. 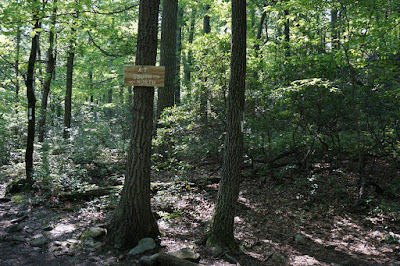 I then took that trail to the 1777W Trail, which I took back to the trailhead where my car was parked.